The construction division of Messerle & Sons has been operating on our own timber and agriculture land for generations. In recent years we have branched out into contract work for private individuals as well as watershed associations and soil & water conservation districts. We are established in Coos County, with many contacts and resources. We can get the tools and know how on whatever project comes our way to get the job done. We feel that as landowners ourselves, we have a special bond with our customers. It is our policy to treat each project as if it were on our own property. 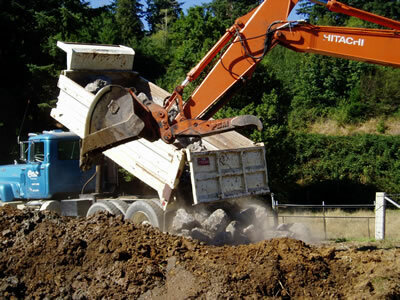 Our experience includes: ditch construction/maintenance, vegetation management, stream work, wetland restoration, culvert/tide box installation & maintenance, road construction/maintenance, fence installation, bridge slab installation and more.